Join after 1st Nov and get the following year free. 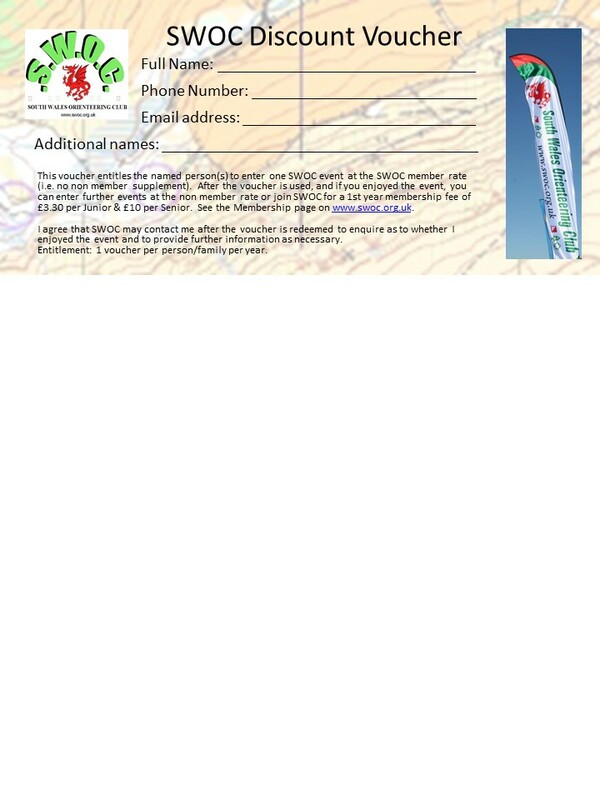 When you join SWOC, you automatically become a member of British Orienteering and the Welsh Orienteering Association. Benefits include, discounted entry fees to all UK orienteering events as well the British Orienteering magazine and discounts with a variety of national retailers. Join online now or read more about joining British Orienteering first. Renewal Fees – Adults £16, Juniors £5.50. Get a discount when you enter your first SWOC event with this voucher.